In 1857, Tom Willis returned to Australia and became one of the founders of arguably the most illustrious sport to ever grace the country. After becoming a seasoned rugby captain as well as a formidable cricketer during his school years, Willis got together with his cousin H.C.A Harrison and their associates J.B Thompson and W.J Hammersley to formulate the rules. What followed this momentous date included over 155 years of action packed and unforgettable sport. AFL has today grown into an international phenomenon, with television deals helping finance both the clubs and the league, advertising deals with shirt sponsors as well as merchandising sold in ALF shops making up huge revenue. Audience figures have steadily risen over the past 20 years making the AFL league today unrecognisable from its very early beginnings. On the 10th of July 1858, Melbourne Football Club was formed and soon had their first match against Scotch College in Yarra park. The two teams were joined by Geelong Football Club in 1859 and soon saw the arrivals of Adelaide F.C and Carlton Football Club joining the ranks. The sport was incredibly popular for a somewhat newly invented sport, but due to the rules and regulations, the spectacle of seeing a mix of different sports in a single area was hard to resist. Over the coming years, the sport saw numerous other teams joining the league including a second team from Melbourne in the form of North Melbourne Football Club. In 1873/4, new rules were drawn up to ensure that all players were required to be registered to one club only. Club kits were also introduced for the teams. In 1877 when the Victorian Football Association was established, the oval pitch design replaced the traditional rectangle like before. In 1886, the four quarters where introduced to take over the game of two halves that was previously played. This year also saw important changes in the rules to allow a centre bounce at the start of each game, each quarter and after a goal had been scored. Other important additions to the rules were brought in such as the addition of goal and boundary umpires and their ability to report players, the official sanctioning of player payments and further advancements. The 90s saw the league officially branded as the Australian Football league with modern branding and advertising. 1996 saw the league celebrate its centenary and quickly devised the Australian Football League hall of fame. The era was a time of fraught financial difficulty for many clubs and whilst talk of mergers lay on the table, the deal to merge Hawthorn with Melbourne fell through. 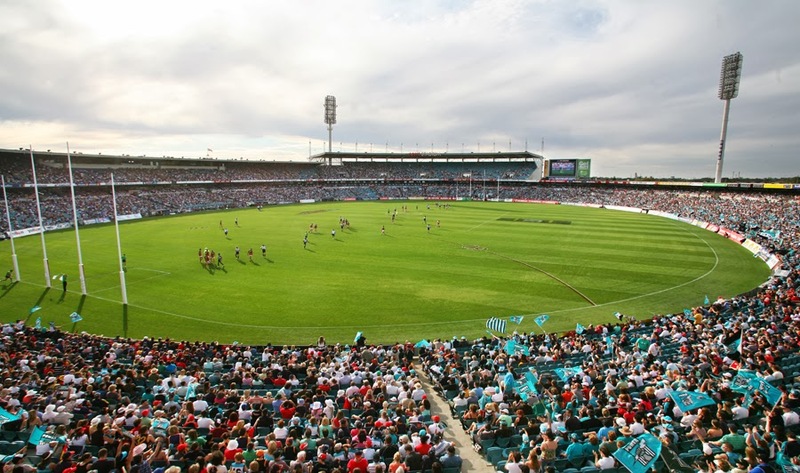 Fitzroy finally merged with Brisbane to form the Brisbane lions and the AFL saw another addition to the league in the form of Port Adelaide. The era was also a time for rule changes that had a big impact on the game. New regulations came in the form of the Blood Rule, the introduction of a third umpire and the addition of allowing four interchange player to the field. With a new lease of life during the millennium, teams were able to move away from their smaller venue for league matches allowing for a huge increase in audience numbers. 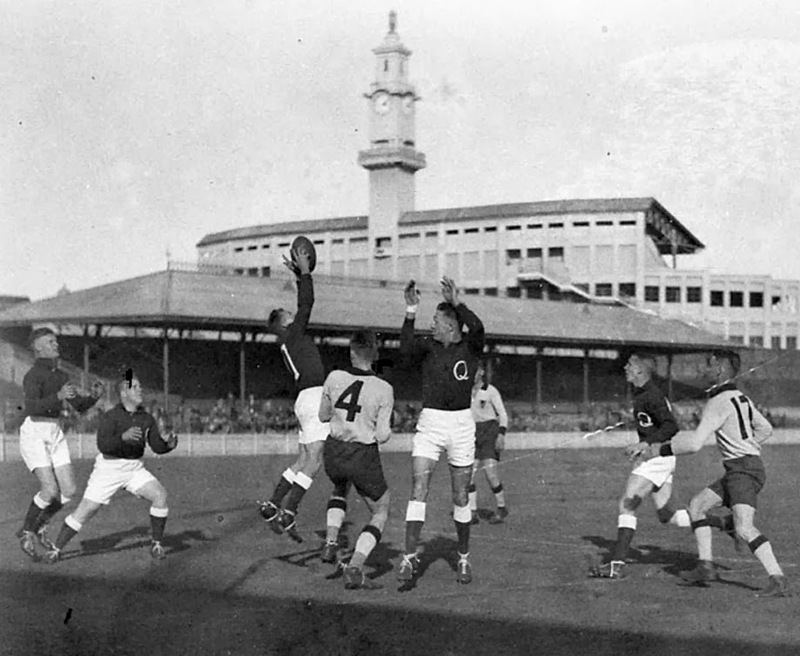 Waverley Park and the MCG in Melbourne were used to delight capacity crowds and further boost attendance revenue income for both the league and teams. In recent times, Geelong has come to dominate many seasons over the past few years contesting four grand finals and winning three of them gaining much acclaim. Hawthorn and Collingwood have also seen success in contesting three and winning two finals and contesting two and winning one final respectively. The sport continues to gain ever larger audiences, with access to ALF online matches as well as television rights for audiences to watch at home. This growth has also seen an increase in merchandising, seeing AFL stores selling out of popular shirts as soon as they are stocked making it one of the most popular sports in Australian history.